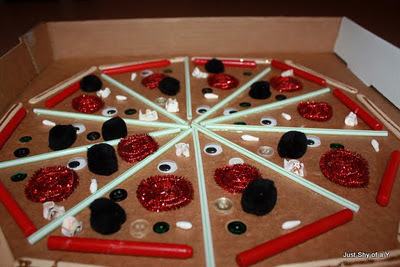 Celebrate the 100th day of school with this homemade “pizza”. Use your imagination to top your pizza with 100 pizza toppings! Thanks for featuring our 100 craft! !